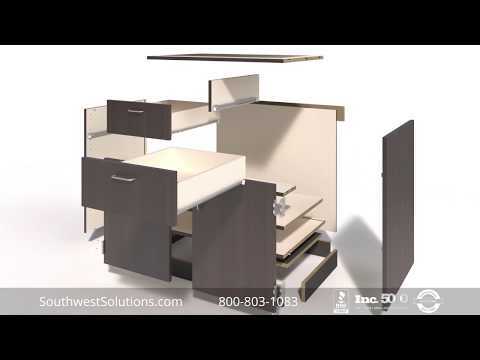 Could your work environment be safe and more productive? 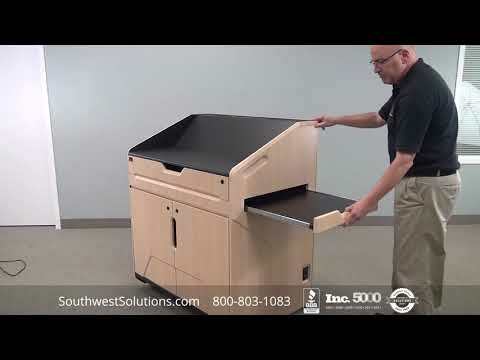 AS/RS storage systems with ergonomic picking stations boost workers' productivity and performance while reducing workers' compensation claims related to on the job injuries. 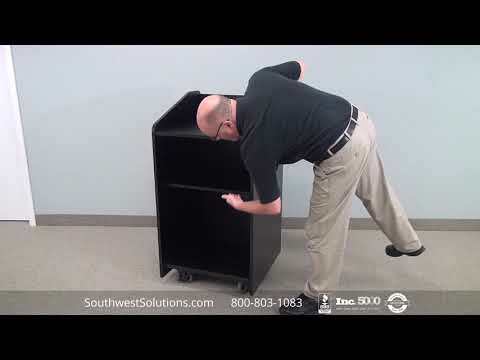 Say goodbye to bending down to retrieve and store parts and climbing rolling ladders with parts in hand, now there is a safer, more productive and space efficient way to manage parts. 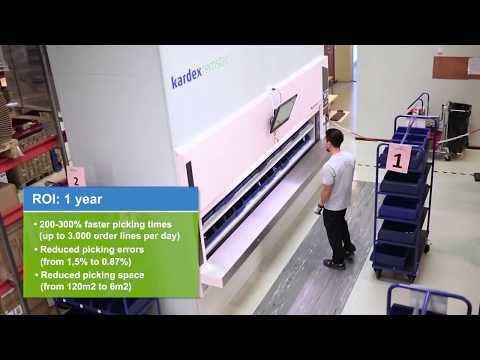 AS/RS storage systems like the vertical lift module from KardexRemstar reduce costly workers' compensation payments, medical expenses, replacing and retraining employees, low morale and absenteeism while increasing employee productivity. 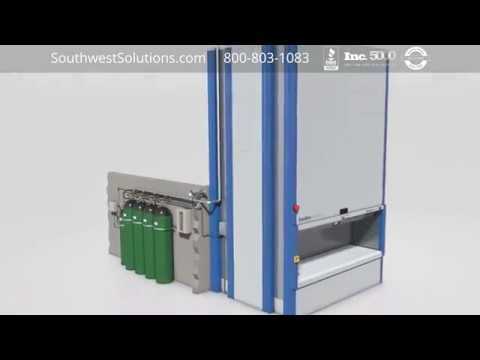 These vertical lift modules efficiently store and manage small to medium size parts and capable of storing tiny microchips up to heavy loads weighing over 2,300 pounds. 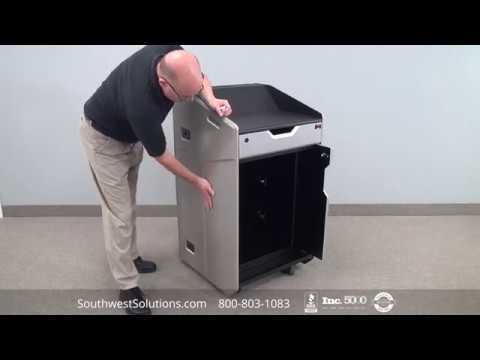 The fully enclosed machines with locking doors take advantage of overhead air space, conserving your facility's horizontal floor space. 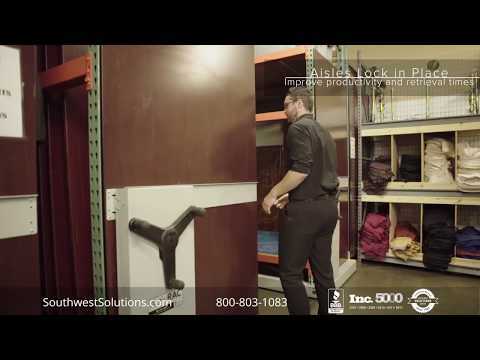 The AS/RS storage machines are computer driven by inventory management software that manages kit lists, batch order pick lists, low stock counts and much more. 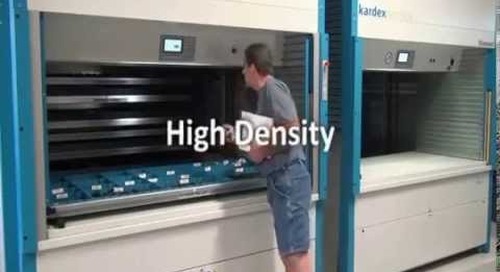 The vertical lift's storage trays come in sizes form 5.2' to 14.4' wide and machine heights from 8.4' up to 98.6' high. 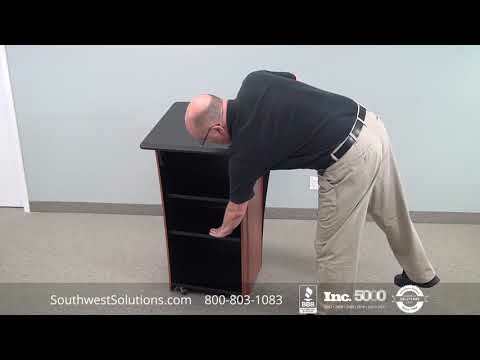 These storage towers quickly pull and deliver parts to an ergonomic waist-high work counter for accurate picking. 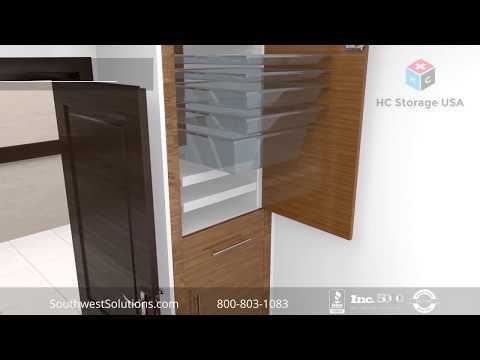 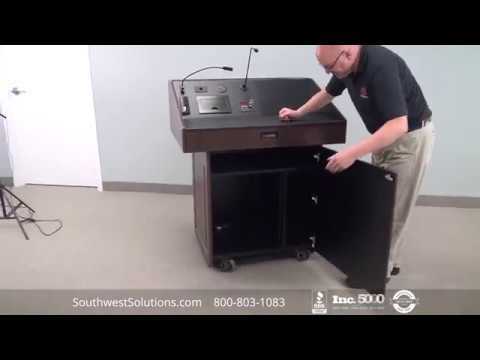 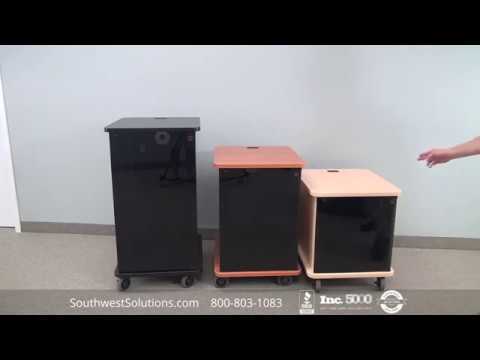 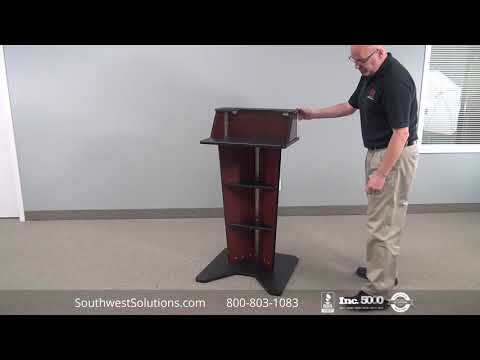 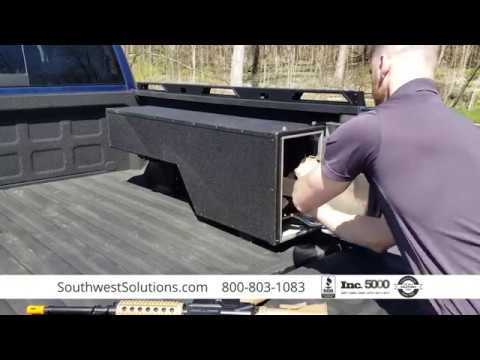 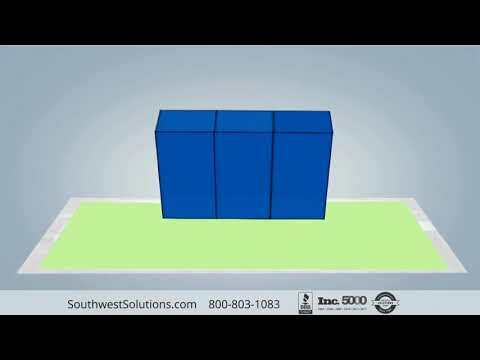 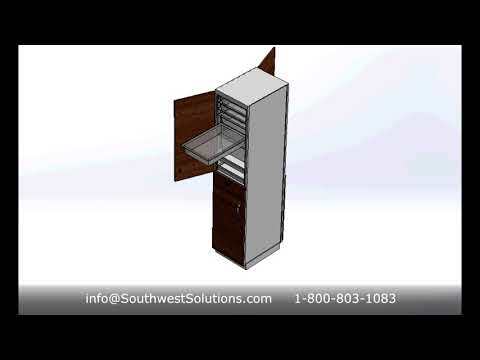 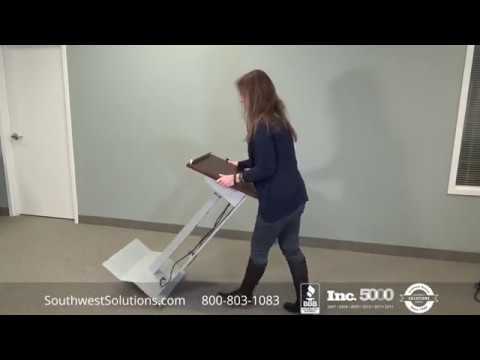 For more information on how ergonomic AS/RS storage systems will boost picking performance and reduce workers' compensation claims, call us at 1-800-803-1083 or visit us at http://http://www.southwestsolutions.com/vertical_towers/.